Mode Living Vogue Tablecloth, 66" x 90"
Mode LivingVogue Tablecloth, 66" x 90"
Subtle metallic dots on fresh white linen create an atmosphere that is both elegant and sophisticated. Easily paired with matching or other metallic napkins for a complete look. 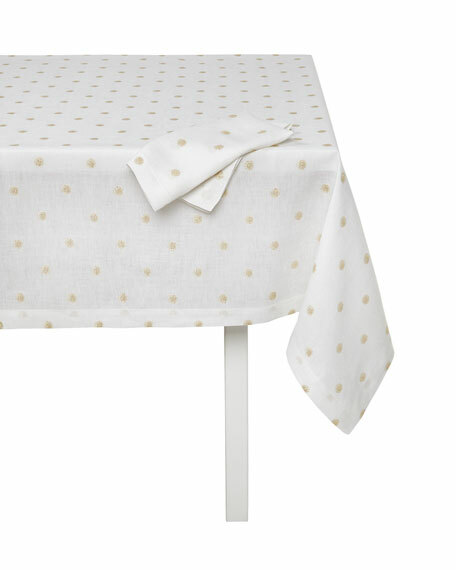 Tablecloth in metallic polka-dot pattern.